Editor's Note: This Op-Ed was written by Enough Project Founding Director John Prendergast and Policy Analyst Akshaya Kumar and originally appeared on The Daily Beast. In the weeks leading up to South Sudan’s independence in July 2011, two sounds were inescapable in Malakal's market. Loudspeakers alternated between blasting the country's newly composed national anthem and President Obama’s “Yes We Can” speech. For many South Sudanese, the speech, with its references to slaves and abolitionists, resonated at a visceral level. Now, nineteen months into a new civil war, as President Obama lands in neighboring Kenya, that marketplace and the dream of a peaceful future for the world’s newest country lies in ruin. 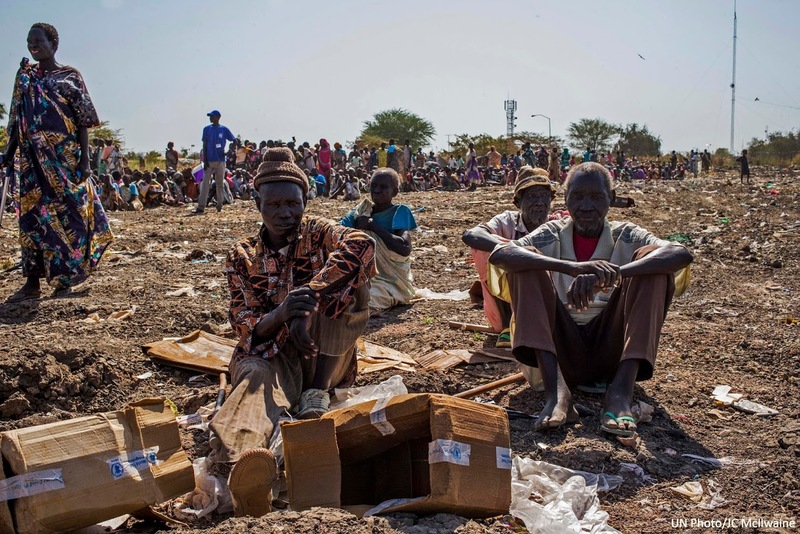 Malakal, which sits at the gateway of South Sudan’s remaining productive oil fields, has become the most visible prize of a war that cannot be won through armed combat, yet continues to be fought with increasing ferocity. South Sudan’s warring sides have exchanged control of the town at least 10 times. Malakal’s diverse population has been forced to flee, leaving its market a charred and empty shell. Over 20,000 people who speak five different languages live huddled together in a little over a half square mile at a UN peacekeeping base. South Sudan’s national anthem, with its pledge to “uphold us in peace and harmony,” has been discarded. The clarion call that “yes we can” represented to so many is being ignored by leaders who used their power to accumulate wealth instead of building a nation.